The first book in Russian language has two presentations. One of them – open for translation. It takes a few minutes when in left upper corner will appear Google translator with languages. Second presentation in .pdf format shows the book ready for publishing. Enjoy. It appears that contact with extraterrestrial civilizations, happened already long ago. 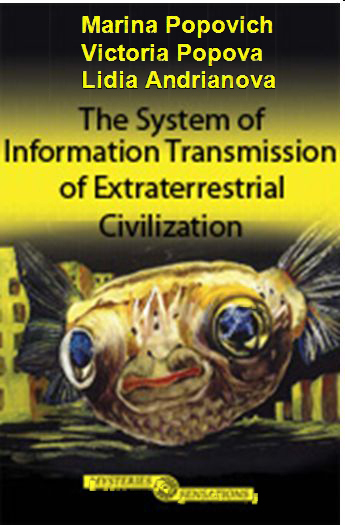 For thousand of years ETC have created the System of information transmission for earth dwellers. It is Stonehenge, the Nazca Lines, moai of Easter Island, the Pyramids of Giza and the Sphinx, underwater complex Yonaguni (Japan), Machu Picchu, the fortresses of Cuzco and Sacsahuaman (Peru), the Mexican pyramids the Moon and the Sun, etc. All these objects have the same identical symbols and convey introductory information about levels of consciousness in the universe and solar system and the future of mankind. 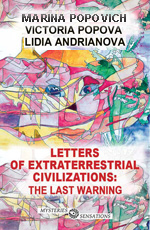 Extraterrestrial civilisations warn: the weakening of Earth's magnetic field has reached a critical value, and threatens the life of mankind. ETC’ instructions in crop circles indicate how to escape from global cataclysms which will begin very soon. 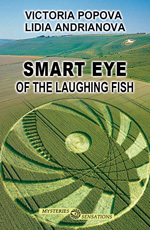 Extraterrestrial civilisations present their autobiography in crop circles. The system of ETC symbols with explanatories of their meaning allows to read the the contents of crop circles to everyone. 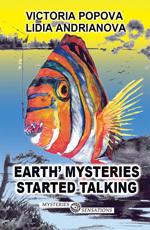 The book contains dozens of decoded crop circles. 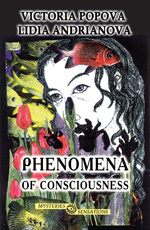 It is the book of incredible discoveries about consciousness in the the universe and solar system, about flights through galaxies and meetings with other civilisations. 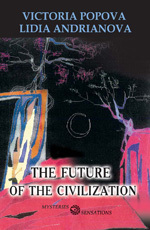 The mission of extraterrestrial civilisations is not star wars, but association of consciousness of the universe. How and why in castles arise ghosts? Are they trying to tell us something? 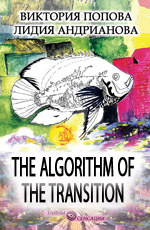 Cycle of the Correction is a new cycle of life, in which we will transfer in the near future. What does it mean for each of us? About what warn crop circles and the Nazca Lines, though analog of hell’ fire on earth - is spontaneous human combustion. 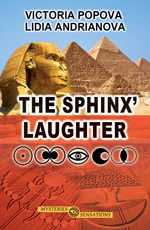 The Sphinx revealed his secret, but has not burst out laughing yet. Pyramids of Giza and the great Sphinx is a uniform information complex about past and future consciousness of mankind, about the Transition in the new cycle of life. This information from an ancient times now confirm hundreds of crop circles around the world. Pyramids Giza and a great Sphinx is a uniform information complex about past and future consciousness of mankind, about the Transition in the new cycle of a life. This information from an ancient times now specify hundreds of crop circles around the world. It appears that contact with extraterrestrial civilizations, happened already long ago. The great Stonehenge and other megaliths of England, the Naska Lines, moai of Easter island, crop circles and other complexies form a uniform System of information transmission containing identical symbols. 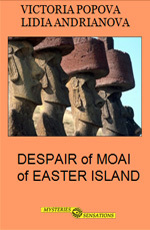 The complex of Easter Island informs that only in advance warned civilization has a chance to make the Transition in time before the onset of global cataclysms. Publisher: Rostov on /D: "Phoenix"
This book is sensational, from first to last page. Unique information about the structure of the Universe, contained in the book is important for the future of all humanity and each of us. During many years, the authors received it from the Above. At the present time the cycle of consciousness perfection ends on Earth. 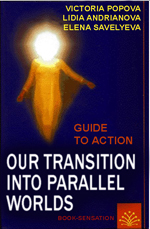 Events of the End of the World will transfer us into the parallel worlds. We will live in the Correction cycle in hell or paradise, where our bodies will be represented by a three-dimensional hologram. After the Correction cycle the new Race of humanity will continue its development already on Venus. The developed by the authors the model of the Universe allowed to solve the mystery of consciousness and find out where and how it is born. Have stars and planets consciousness? How happens the creative inspiration? Will we be able to continue our lives - depend on us. We are the last, the best generation. We are the generation of the Transition. 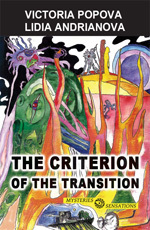 The book is designed for a wide range of readers.